She's here! Beyoncé has arrived in South Africa for her performance at the Global Citizen Festival: Mandela 100 on Sunday. Beyoncé has touched down in South Africa ahead of the Global Citizen Festival: Mandela 100 on Sunday. Queen B arrived at Lanseria airport on Thursday with her daughter Blue Ivy and her husband Jay Z, who is also performing at the concert. The couple's twins, Sir Carter and Rumi Carter, were also pictured at the airport. The Carters caused such a stir with their arrival that both Beyoncé and Blue Ivy were trending on Twitter. ALSO READ: #HotGoss: The mystery of who bit Beyonce finally solved! Previous reports suggested that Queen B arrived in SA on Monday after Destiny's Child group member Michelle Williams claimed she was already here. One Twitter user said the singer was seen rehearsing for her show, while another added they saw her checking in at The Michelangelo Hotel in Sandton. But it turns out only Kelly Rowland had arrived at that stage. Kelly, who has a new song out, shared pictures of herself in Cape Town. 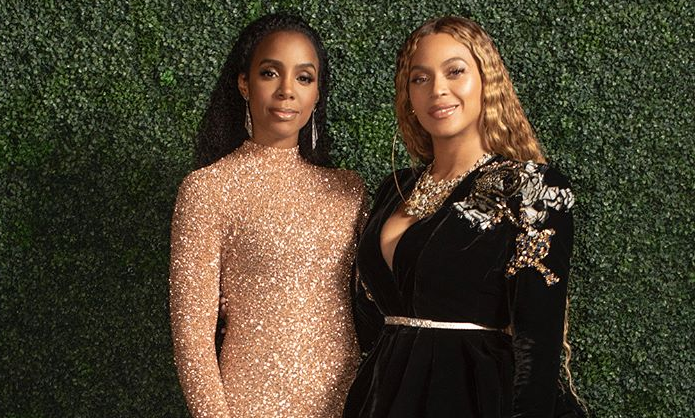 It's unclear if Kelly will be joining Beyoncé on stage, but we can forget about a Destiny's Child reunion. Michelle, who is in New York for a Broadway play, has already said she won't be in Mzansi. Oprah Winfrey has also arrived in SA. She was one of the speakers at the Isithunzi Sabafazi dialogue at the University of Johannesburg in Soweto on Thursday. The "Queen of Talk" paid tribute to Nelson Mandela and called for gender equality during her inspiring speech. Other stars expected to take to the stage at FNB Stadium on Sunday include Pharrell Williams, Usher, Chris Martin, Wizkid, D'banj, Eddie Vedder, Tiwa Savage, and Ed Sheeran. Cassper Nyovest and Sho Madjozi will be among the local stars performing. Here's a look at how Twitter users reacted to the A-list arrivals. O% crime and the petrol price will be R2/l.